Laurie Wallmark has published stories in Highlights, Cricket, and other children's magazines. When not writing, she teaches computer science. 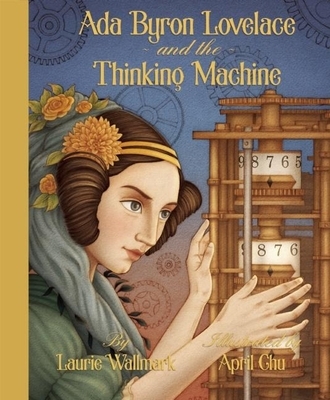 Ada Byron Lovelace and the Thinking Machine is her first book. Visit her blog at lauriewallmark.com. April Chu began her career as an architect with a degree from the University of California, Berkeley, but decided to return to her true passion of illustrating and storytelling. She lives and works in Oakland, California. Her previous book, In a Village by the Sea, is also a Creston title and received starred reviews from Kirkus and Publishers Weekly, as well as a rave review from the New York Times and Fuse #8. Learn more about her at aprilchu.com.